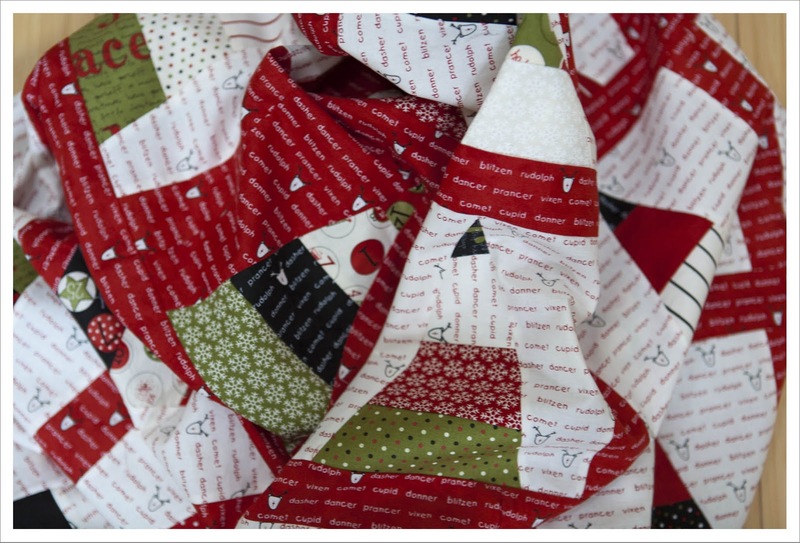 42 trees and whole lot of sashing later and the top of my 'Countdown to Christmas' quilt is finished ! I can't get enough of this fabric as it is so darn cute ! The big question is now what to do with the back and how to quilt it. I am adamant to use the entire jelly role plus all the left overs from the background fabric on this quilt which proofs a bit of a challenge. Originally I was thinking to quilt in the same manner as the little mini quilts were done emphasising the trees but this will be to much work when it comes to burying the quilting threads. I don't think I can face hundreds upon hundreds of threads to bury. It did cross my mind to QAG this one but then again that would have presented a much bigger challenge as to the quilt back. I think for the method I am keen to try out the squares are to small. So I am thinking something along the lines of crosses or stars which is sort of festive too isn't it ? Previous post on this quilt can be found here and here. Oh Judith it looks amazing! Oh it looks supersuperb! How about a nice crosshatch pattern that lines up with the tree's, not with the sashing, so it looks like diamonds? 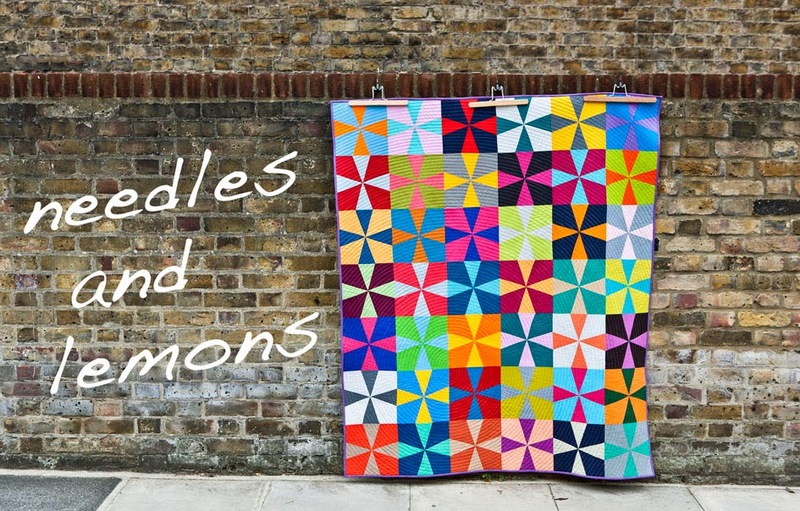 A bit like on my little apples cushion, if you've seen it? It is wonderful. I think that you could quilt the trees like your mini by making each tree one continuous line (sew up the tree to the point, down across a little back up, down, across, etc.) Then there would be only 42 threads to bury, which is not terrible especially if you do them as you go. 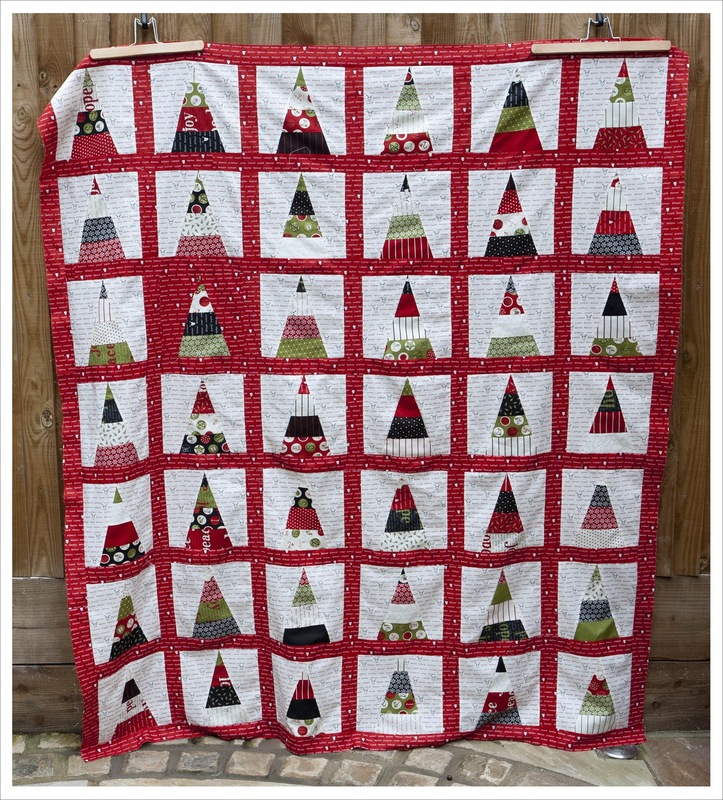 Then I would do some straight lines across the red sashing in both directions and the white bits would be unquilted and nice and puffy soft. But I am sure you will make a great choice, I am loving this quilt. It's wonderful! Love Hadley's suggestion for the quilting. Use all the extra fabric on the back. 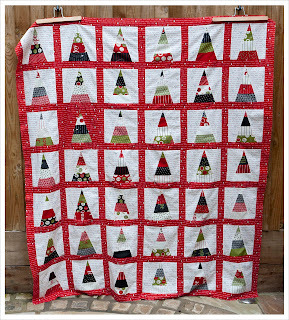 I love quilts that 'match' the front. Yes I like Hadley's idea too! Looks great!